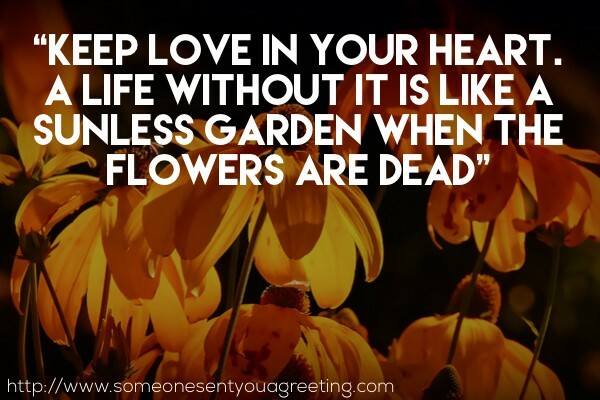 If you’re sending a card or flowers to someone special in your life then a great way to show how much they mean to you, or just to say “I love you”, is with a love quote or saying. 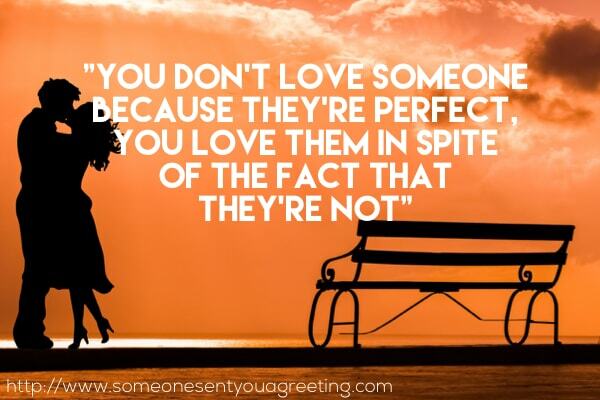 In fact you may just want to tell them in person how important they are to you, or even post something on Facebook. 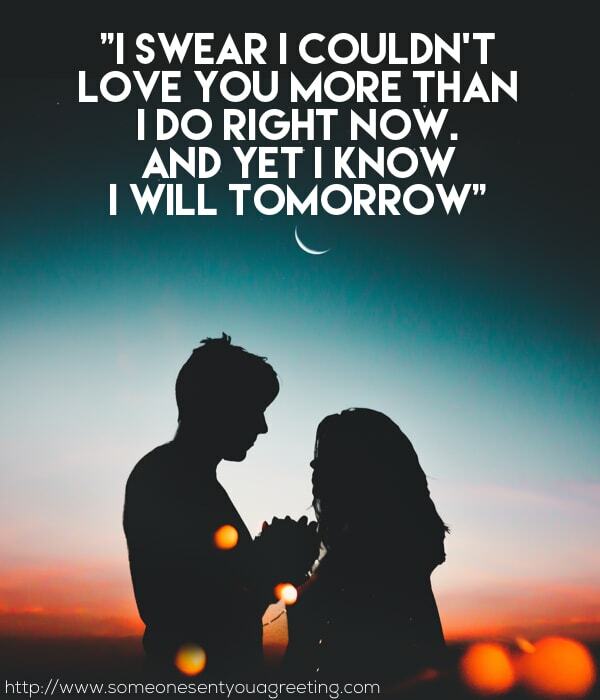 Whatever the reason, using one or more cute, touching or funny love quotes is the perfect way to get your feelings across. Especially if you struggle with finding the rights words to express exactly what you’re feeling. Often someone else has said what you want to say but in a much better way! 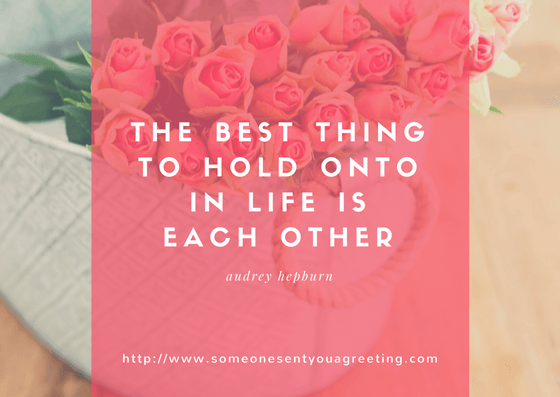 So we’ve compiled a huge list of our favourite love quotes and sentiments to cover every type of occasion. 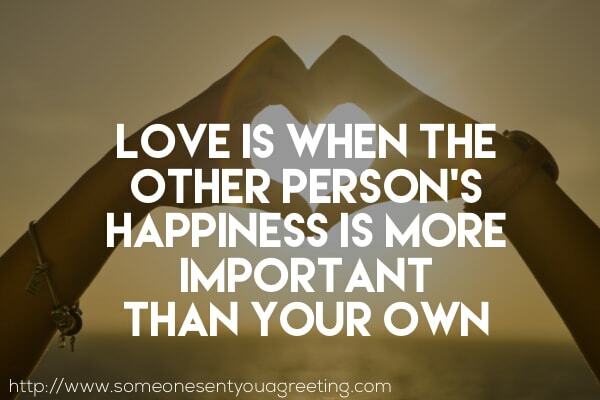 Below you’ll find funny, profound and famous love quotes as well as ones specifically for your partner, be that a he or a she! 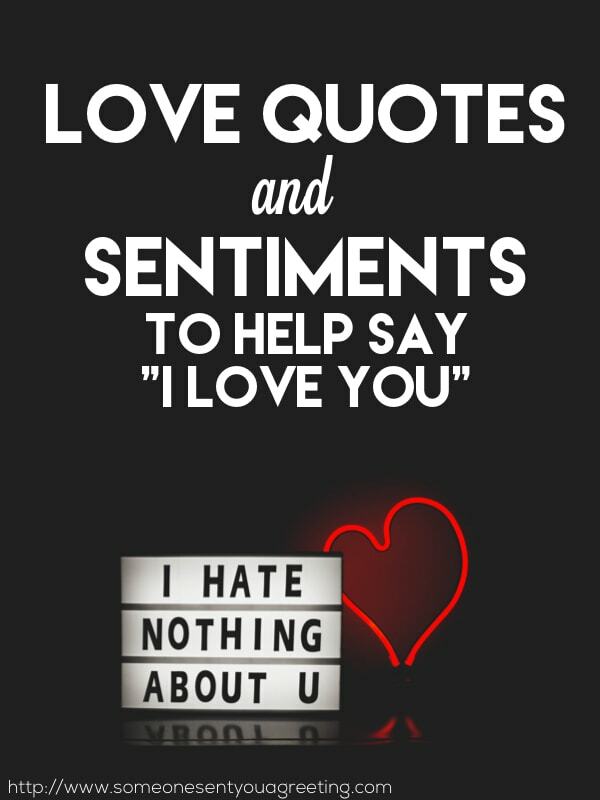 So whatever the need these quotes will be the perfect way to tell someone “I love you”! 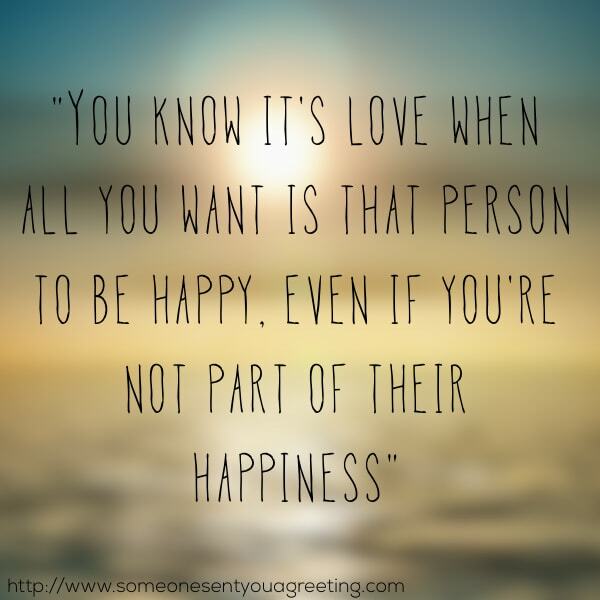 You might fancy a sweet love quote that’s cute, warm and fuzzy rather than something overly romantic or a bit risqué. 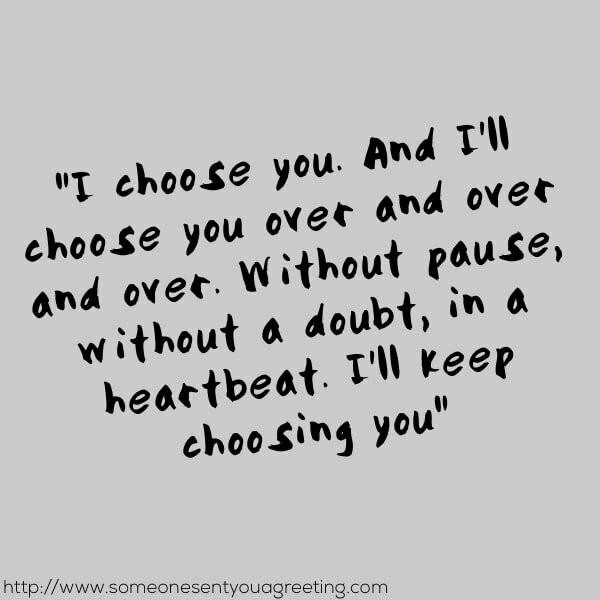 If so then our selection of cute love quotes below should do the job perfectly. 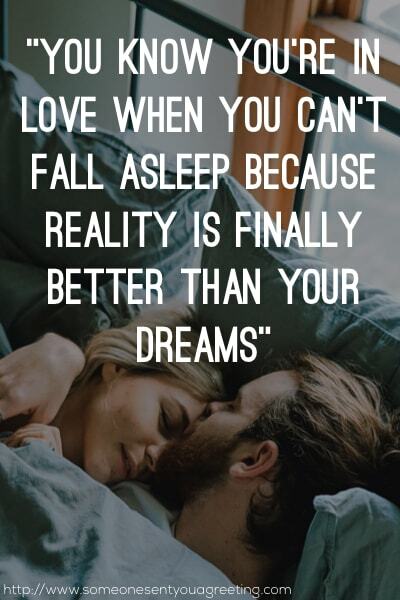 Have you found your true love? 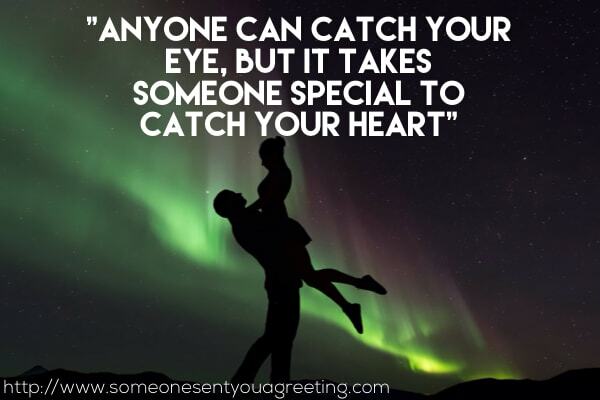 Or are you still looking for that special one? 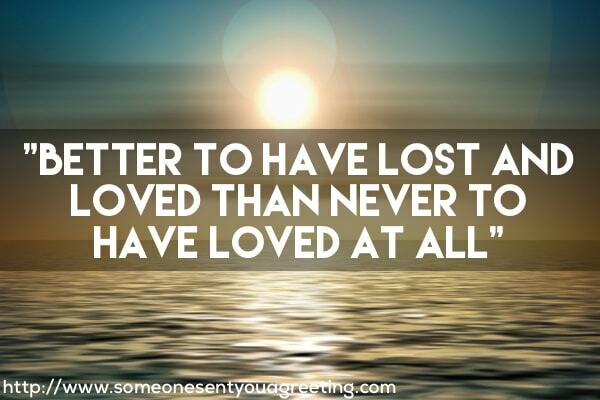 Maybe you want to lament the lack of true love in your life or celebrate it’s joy. 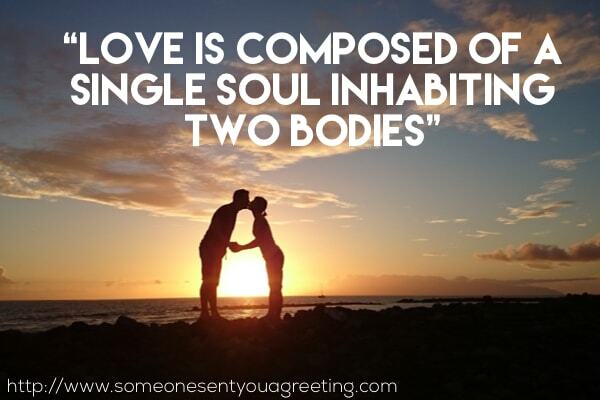 Whatever the reason the true love quotes we have here look at it from all angles and will have you covered. Love often leads to sonnets, poems and lengthy masterpieces that recount the ecstasy and agony in all it’s glory. But sometimes you just want a quick way to sum up that magical force in our lives. 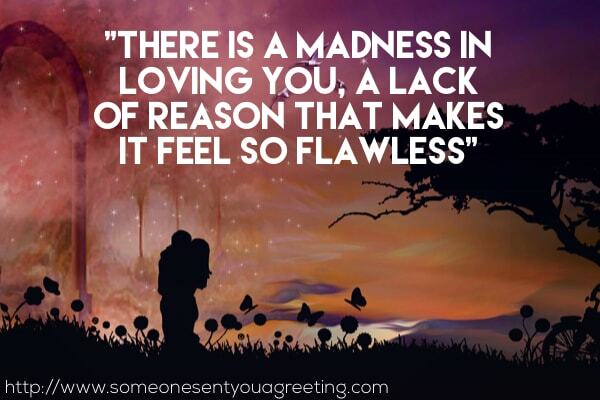 Well here are some short love quotes that prove you don’t have to eulogise for days about love to say it all. The power of love is well known. It can give you emotions and feelings like nothing else – spurring on creativity, inspiring you to new heights and healing wounds or hurt. 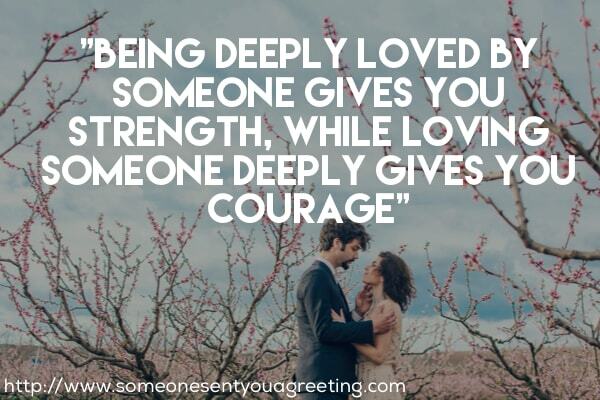 Try these inspirational love quotes to inspire you through the awesome power of love! When it comes to speaking to that special guy in your life you’re probably better off avoiding anything too sentimental or sappy. Nothing from the ‘The Notebook’! 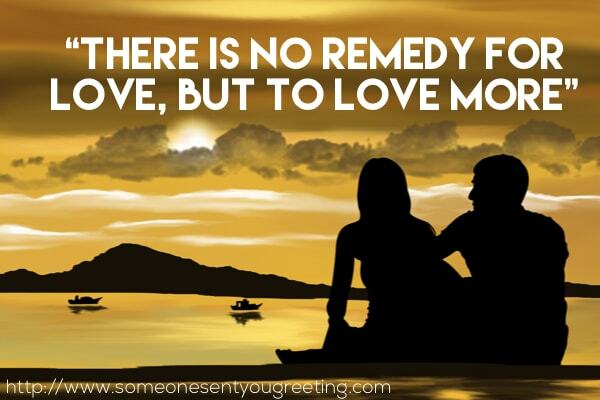 Instead try one of these love quotes for him that are bound to have a much more positive reaction. 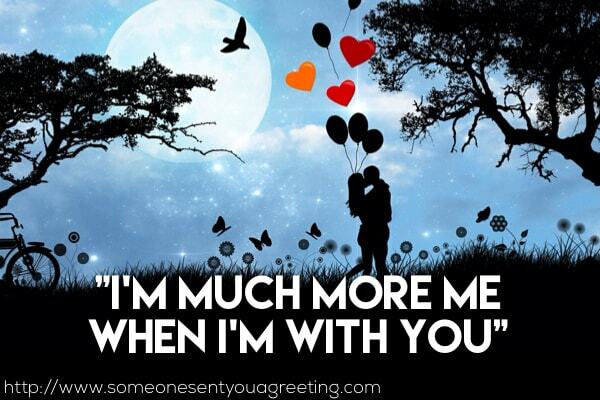 Sending or saying something sweet or touching about your girl is a no brainer. There’s no way she won’t like it, you’ll look even better in her eyes and you get to say how special she is to you without the awkwardness of thinking it up yourself! That’s why the love quotes for her like the ones below are ideal. Love doesn’t have to be serious all the time. In fact it often isn’t. Some of the happiest and best memories we have with loved ones is when we’re laughing or sharing a joke. 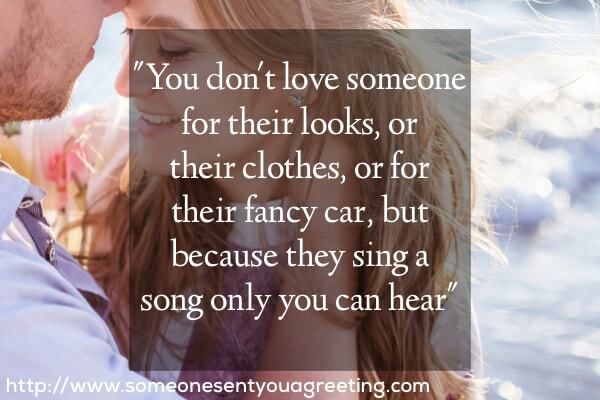 So if you’re looking for something a little less serious then a funny love quote is definitely the way to go. 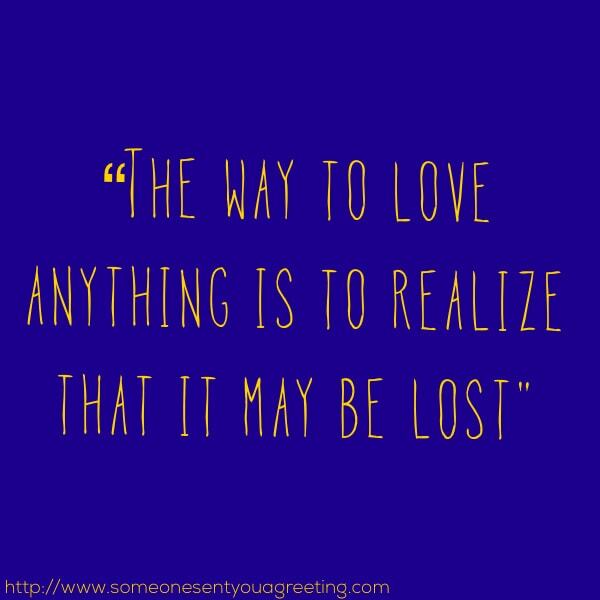 The crème de la crème of love quotes are the ones that sum up love in the most concise and fitting way. They get straight to the heart of what love is without any messing about. 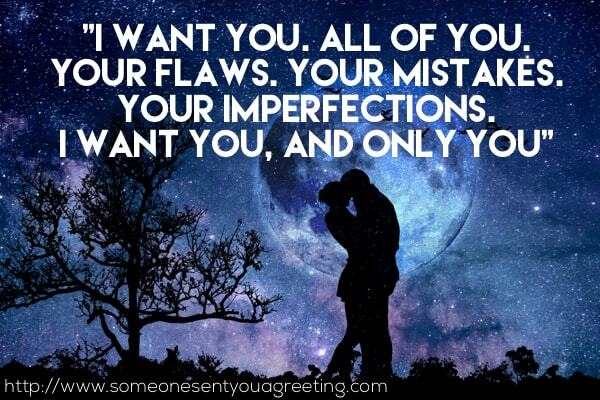 These are the best love quotes available. Sometimes you will read or hear someone say something that makes you stop in your tracks and think. 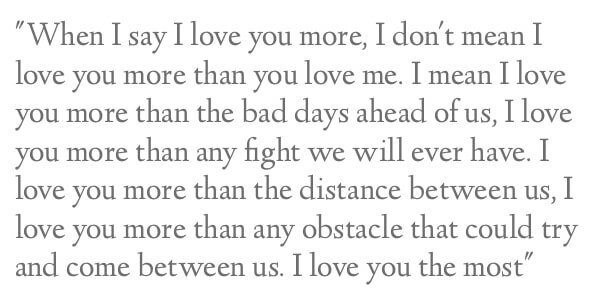 The quotes below do just that but entirely about love. 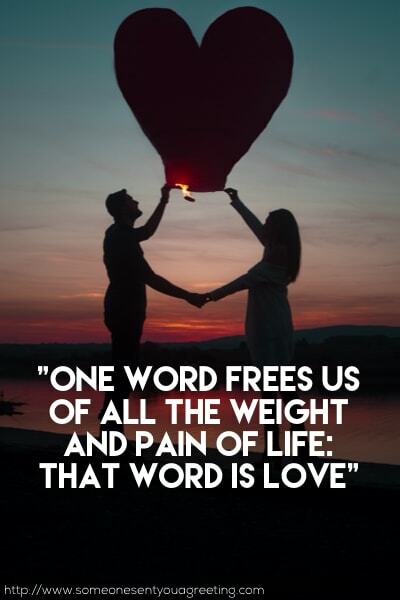 Love is a key part of the Bible and because of that it is littered with quotes and sayings about it. If you’re sending a religious card or want to celebrate a special occasion then these Bible live quotes are just what you’re looking for. 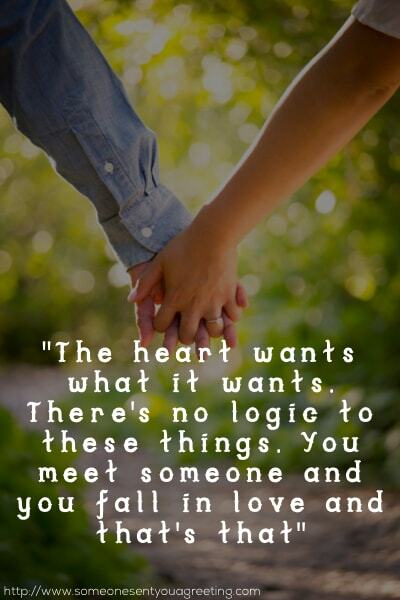 Some of the most well known people, films and books have the most quotable lines about love. They’ve become part of modern culture through their universal appeal. 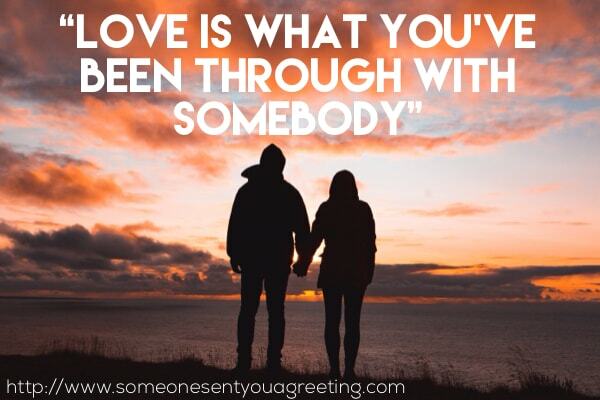 So using a famous love quote that we all know is a great way to express your love to someone. The bard was one of the most influential people when it came to love. His writings are some of the most famous love stories in the world and the characters staples of what we think of when we it comes to romance. So who better to turn to for a love quote than Shakespeare?